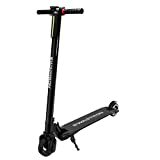 What is an Electric Kick Scooter? 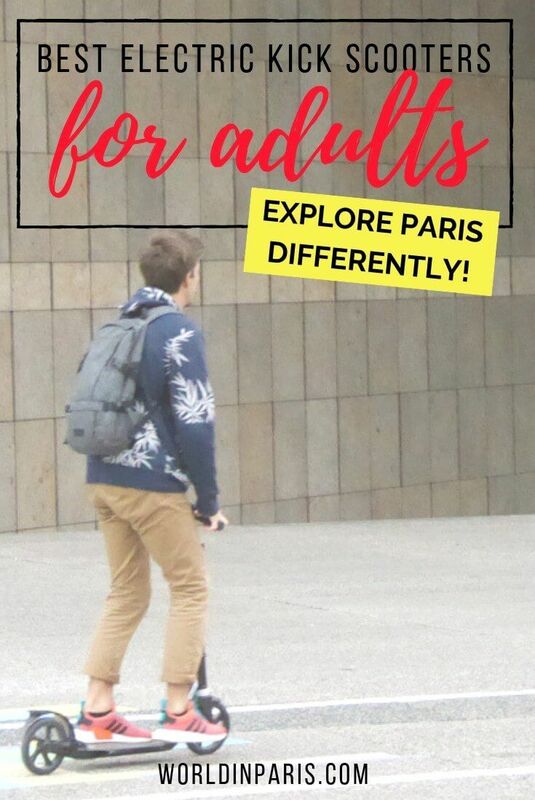 It is official: electric kick scooters for adults are a trend in Paris! 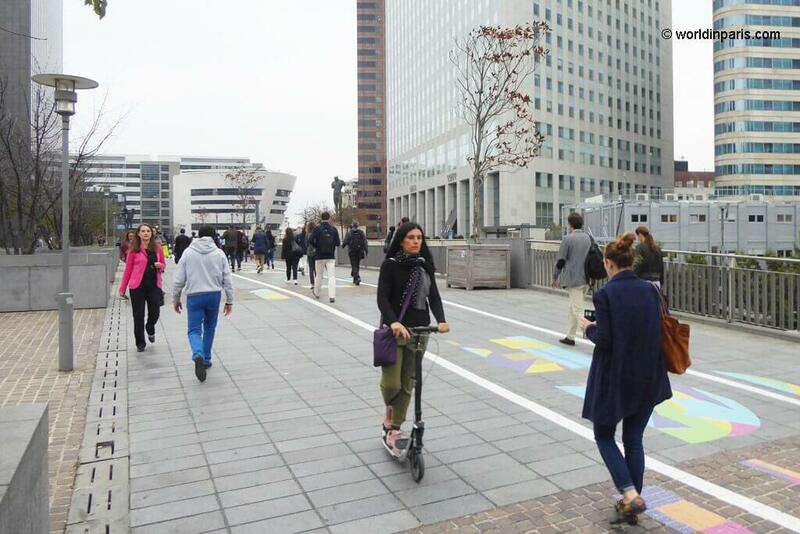 Today, many Parisians are opting for foldable electric scooters for adults to get to work or simply have fun in the park and the streets so why not use your own portable electric scooter to visit Paris differently? 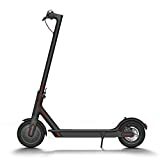 Paris is a very walkable city but if you need to cover big distances during a day, a good adult kick scooter can help you get around without taking the Parisian Metro or having to pedal a large bike. Plus they are a fun! 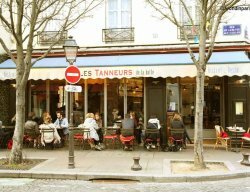 We use it all the time on and off public transportation to get around Paris or just to have some fun on a sunny day. In addition, the latest models are light, foldable and extremely compact so you can travel with your own portable electric scooter everywhere. 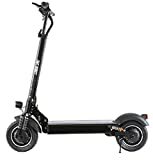 There is a large variety of electric kick scooters in the market, with different prices and specifications: fastest electric scooter, best electric scooter for climbing hills, best lightweight electric scooter . . . so choosing the best electric scooter for adults can be a bit confusing. What should you know before getting an electric kick scooter for you? Keep on reading for our best tips and proposals. Electric kick scooters, also known as e-scooters, are battery powered scooters to bring users everywhere with the minimum effort. 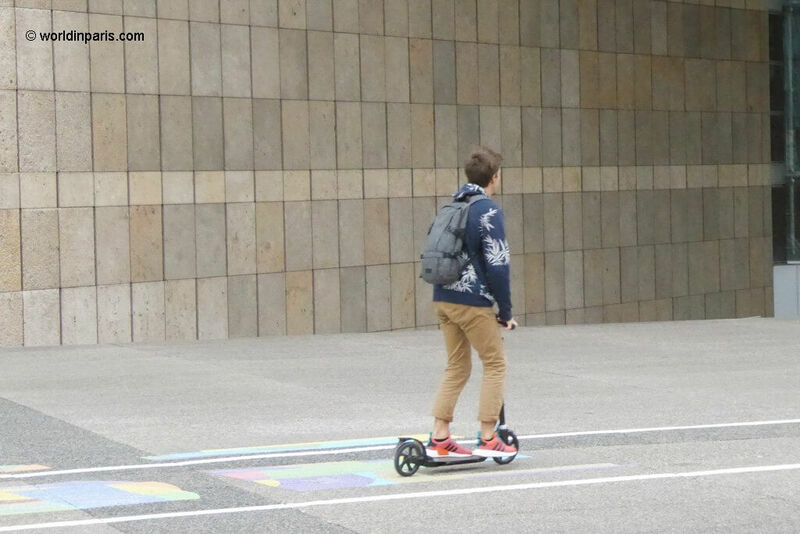 A nice LED display allows users to control everything, from speed, gear to battery life which makes of e-scooters very easy to use. It is more cost-efficient, convenient, and better for the environment than any car, truck, or gas powered vehicle. 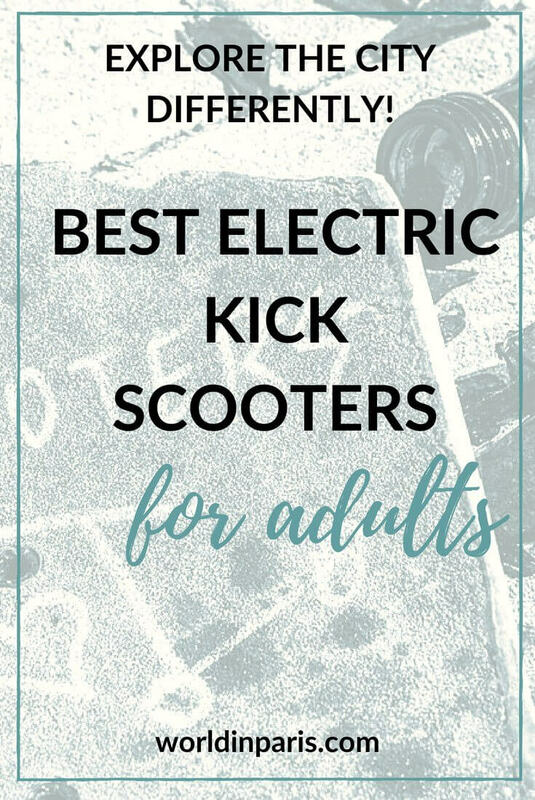 In addition, electric kick scooters for adults are intuitive and easy to learn. Intuitive controls simplify learning and use for all ages while improving safety. The personal transportation revolution is here! This is one of the best electric kick scooters for commuting in the market. It is simple, reliable, clean quiet and built to last. Glion Dolly Foldable is fun to ride, well balanced and easy to maneuver. Even if most of the time people are using the max throttle, speed can be regulated using the throttle on the right. This is especially appreciated when turning corners. The brakes are as strong as you want to make them, able brake to a full stop within seconds. The kick scooter comes with a retractable handle and roller wheels. Sometimes the bag that you can see in the picture is included and sometimes you have to buy it apart. Cruise the streets of your city in style with this beautiful electric kick scooter very easy to ride. Press the power button, start to ride by pressing the throttle and regulate your speed with the handbrake, that’s it! Its sleek carbon fiber frame weighs only 15 lbs which make of Swagtron Swagger Pro one of the lightest electric scooters in the market. 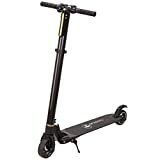 Another interesting feature of this adult kick scooter is the front suspension on the motorized wheel, which allows an even smoother ride and bright headlights for night driving. The Swagger is very easy to fold, and store, thanks to its collapsible frame that folds in one touch. This 40 mph electric scooter is very powerful, with two independent motors to control and the front and rear wheels and 6 shock absorbers to adapt to different terrains. With these features on board, there is no need to say this is also one of the fastest electric scooters, with a maximum stroke of 45 miles. On the other hand, this is a less light model (70lb /30 kg), more difficult to carry. We love its blue front headlight, which makes the riding at night safer. Some may find interesting to buy the version with a detachable seat (two different models of the scooter, different in shape, speed, and mileage). This is one of our favorite electric kick scooters, the best-balanced model in terms of performance, weight, and design. Drive up 18.6 miles at a maximum speed of 15.5 mph thanks to a 250W motor and a high capacity battery with smart power management: indeed, Mi Electric Scooter stores kinetic energy during acceleration and converts it into electrical power. The sturdy frame is made of aerospace-grade aluminum, durable resistant, and weighing 27 lbs only. Its minimalistic but beautiful design has won different design awards. We love its mobile app, to store your ride statistics to ensure a great riding experience. This model is one of best electric scooters for commuting and it comes with very interesting features, like its pneumatic tires (great shock absorption, much better for riding on treacherous city streets) and two speeds! Choose speed #1 for riding at 10mph or speed #2 for a 15mph experience and control everything, from speed, gear to battery life on its nice LED display. 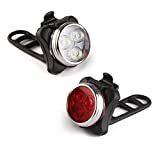 Its red LED headlight ensures a nice riding experience also at night. Gotrax GXL is definitely a nice, sturdy model, well constructed, and which folds perfectly to fit in the trunk of a car. TianRun is another electric kick scooter with more than one speed: actually, there are 3 speeds! Change gears and ride from 10 to 15 Mph, depending on road conditions, to save the battery life and endurance. The LCD panel allows you to control everything, from gear to life battery and everything is very intuitive. The battery lasts up to 15 miles, depending on the usage, and it is recharged in 4 to 6 hours. The Carbon Fiber Frame means this electric kick scooter is very light (7.5 Kg /16.5 lbs) and easy to carry on one hand but also with a good weight capacity (264 lbs /120 kgs). Finally, its solid rubber tires provide great shock absorption and anti-slip treads. Where are you going to use it? Around home? To go to the office? For your travels? The best electric scooter for commuting may not be the best electric scooter for climbing hills and vice versa. If you want to use an electric kick scooter for your local wanderings, robust wheels (big wheels go everywhere!) and weight are important factors to consider. 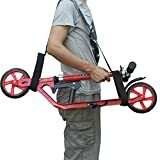 If you want to carry your electric kick scooter overseas to explore other destinations on it, check for a foldable electric scooter which is compact and light. If you want to transport your e-scooter by plane, forget electric folding scooters for adults heavier than 15kg / 33lbs. An electric kick scooter for adults usually has a speed ranging from 16 to 24 Km/h. You not only want the fastest electric scooter, but you also want a motor which delivers adequate power and torque to go over inclines or hills without any problem. Most of the electric kick scooters come with a single speed, but there are some advanced models with two or three speeds. 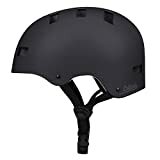 For how long are you going to ride your e scooter daily? On long-range electric scooters, the built-in electric battery should take you a long distance before needing a recharge. At the same time, big batteries mean heavier scooters (you can see it on the comparative table above). We recommend doing an estimation of your daily use and buy an adult kick scooter with the best battery for your use. Check also how long it takes to fully recharge the battery (usually from 1.5 to 6 hours) and if that recharge time suits you. Maintenance is important in this rather young technology. People who go for cheap electric scooters for adults, usually end up regretting it. 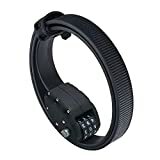 Read about the product warranty and also the customers’ reviews and questions. Finally, some brands provide with a free battery change service in 12 months, which is a nice addition to your purchase. Powered scooters for adults have a maximum weight rating, and to avoid damages it’s important not to exceed it. 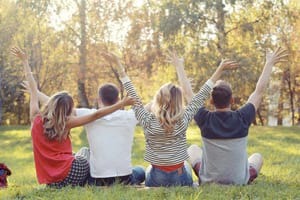 Depending on your weight, it will be better to buy an electric scooter for heavy adults, also to avoid warranty issues. Finally, you have to feel comfortable on it so ergonomy, stability, and facility to maneuver, with a good balance are other important factors to consider. Price does not necessarily mean cheapest. Compare the electric scooter prices but also the scooters‘ specifications and buy the model which gives the best value for money. Or buy the model which gives the best money for your needs. Are electric kick scooters good for all surfaces? Electric kick scooters work well on sidewalks and paved or relatively smooth hard surfaces. They do not work (or work bad) on loose dirt or deep grass because the tires are too small for rough or loose surfaces. Is it possible to use it as a normal kick push scooter? In theory, yes, but the motor in the wheels has a little resistance so it is best to be avoided. How far electrical kick scooters go? Generally speaking, at least one hours but it all depends on the use, speed and surface. Do I need a specific license to ride an electrical kick scooter for adults? Please, refer to local rules. 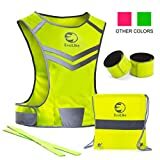 Do electric scooters function in light rain? It is not recommended to touch the rain for a long time. We hope our guide was useful to find the best electric scooter for you. Whether you’re an urban commuter, a student on campus, or just cruising around, we are sure you will enjoy riding this fun, eco-friendly, two wheels travel mate.